Wen Chi received a master’s degree in guidance and counseling from Eastern Michigan University in 1998. She is a licensed Professional Counselor (LPC), trained in DBT (Dialectical Behavior, Therapy) and EMDR (Eye Movement Desensitization and Reprocessing) therapy. She specializes in treating anxiety, depression, trauma and addiction. Wen Chi is also a presenter of workshops at University of Arizona, Arizona State University (ASU) and Organizations in the Tucson area. With more than seventeen years of experience providing psychotherapy at both inpatient and outpatient treatment centers, Wen Chi developed her own Intensive Outpatient Program (IOP) in 2007 offering a unique combination of eastern and western treatment philosophies. She was met with great success, attracting clients from across the country. Soon it became more work than she could handle alone and Zen Institute was born. In her leisure time, Wen Chi enjoys doing art projects, sculpting, painting, photography, playing with her cats and spending quality time with her husband and friends. Gordon has always had a strong passion to help others stay sober. He has been in recovery for alcoholism for 30 years. As the President of Zen Institute, Gordon has demonstrated specific skills and has shown us how to stay on track in recovery. He believes that recovery from alcoholism starts with a mental willingness for a lifestyle change. Gordon considers his recovery from alcoholism as one of his greatest achievements. In addition to his passion for recovery, Gordon also provides on-going encouragement and support for all staff at Zen Institute. Brad has been in the business and finance world for over 20 yrs. He holds degrees in business finance and accounting and sees his role as handling the business, finance, and compliance matters so the clinical staff can focus all of their time and energy serving clients. He also serves as a financial advocate for clients, and has been known to go to great lengths to get insurance benefit coverage for much needed services. Established in 2012, Zen Institute is considered a relatively new business. Not only has Brad kept Zen Institute a debt free company from day one, he has also proven that Zen Institute is a company that is a financially secure and profitable. Brad was nominated for Tucson CFO of the Year in 2014. Brad also serves on the board of directors for the Tucson chapter of the International Association of Eating Disorder Professionals. Brad’s philosophy on business and life can be summed up simply: Live in the present, express gratitude freely, laugh often, and do the right thing. In his free time, Brad enjoys spending time with his family, photography, boating, fishing, and motorcycle riding. Jenna received her Master of Science in Clinical Mental Health Counseling from University of Phoenix. She is a Licensed Associate Counselor (LAC) and Nationally Certified Counselor (NCC). Jenna has worked in the mental health field for over six years, in both residential and outpatient settings. She has worked with individuals struggling with a range of concerns (depression, anxiety, relationship issues, gender identity concerns, PTSD, trauma, eating disorders) and has experience with individual, group, couples, and family work. Jenna has a zeal for helping others. Using an integrative and holistic approach, she helps each client build upon their unique and individualized strengths, rather than solely focusing on the presenting problem. Jenna considers herself an advocate for her clients, and approaches each person with openness, acceptance, and honesty. ​In her free time, Jenna explores her passions for travel, art, animals, reading, and writing. Jodi received her Masters degree in Clinical Mental Health Counseling. She is a Licensed Professional Counselor (LPC), as well as a Certified Clinical Supervisor. She is trained in EMDR (Eye Movement Desensitization and Reprocessing) therapy, and certified in TRE (tension stress release exercise). Jodi has worked in the mental health field for over 6 years in residential and outpatient settings as a primary therapist, Clinical Director, and Family Program Director. Jodi recognizes and honors the courage it takes to seek help and admires the willingness clients have to create a different space for themselves. She helps clients let go of negative beliefs and create new pathways in the brain for positive change. Jodi uses an eclectic and holistic approach to therapy and is diligent to meet the clients where they are at integrating the mind, body, spirit, balance into therapy. Jodi is passionate about her work and also enjoys time with family, traveling, art, and nature. Melissa received her Master of Science in Community Counseling degree from the University of Phoenix. She is a Licensed Professional Counselor (LPC) who has worked in the mental health field for over 9 years. Melissa has experience working with people of all ages in a variety of treatment settings. She has worked as a therapist in community behavioral health, residential treatment, and private practice. Melissa takes an integrative, client-centered approach to therapy that places importance on the therapeutic relationship and recognizes each individual’s ability to manage challenges using their unique skills and strengths. She is trained in EMDR and is passionate about helping people experience healing and growth after traumatic experiences. Melissa often incorporates Cognitive Behavioral Therapy (CBT), positive psychology interventions, self compassion, and mindfulness in her work with clients. In her time away from work, Melissa enjoys reading, spending time in nature, and traveling with her family. Joyce is the newest member of the Zen Institute team. She comes to us with twenty plus years of experience in the administrative field. Over the last few years, Joyce has become interested in meditation, yoga and holistic practices due to everyday stress and personal experiences. She truly enjoys helping others and is a firm believer in nurturing your mind, body and soul. ​In her spare time, Joyce enjoys spending time with her family and two cats. Sarah holds a Master's degree from the ASU School of Social Work. She is a Licensed Clinical Social Worker and is EMDR certified and DBT trained. Sarah believes everyone can heal from trauma and be their best self through therapy and skill building, and that this ma﻿kes the world a better place for everyone. She has extensive experience and training in treating mood disorders, trauma and addiction, dual diagnosis, family and relationship issues, and LGBT/identity concerns. "I love working at Zen Institute because we share this mission and because it is a peaceful, joyful place that helps me put my principles and skills into practice in my own life." In her free time, Sarah enjoys reading, eating, and yoga. 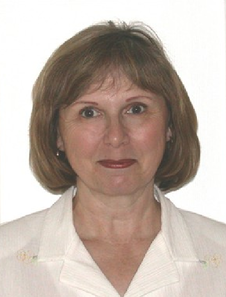 Jeanne received her Ph.D. in Family Economics from Oregon State University in 1985. She currently works as a full professor in the School of Social Work at the University of Nevada, Reno. Dr. Hilton teaches courses on family resource management, individual and family resilience, contemporary family issues, and theory and research methods. She also has published numerous articles in academic journals on topics related to divorce and single parenting, child development, balancing work and family, and successful aging.